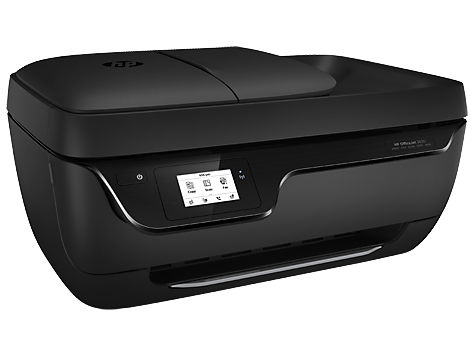 Get more done with the easiest way to print from your smartphone or tablet.1 Simplify tasks—and save up to 50% on ink2—with this affordable, easy-to-use all-in-one with fax. It fits in nearly any space and works quietly in the background. Easily print from a variety of smartphones and tablets.1 Your pages come out great—even if you're not there. HP 63XL Tri-color Ink Cartridge (~330 pages). 1 Power requirements are based on the country/region where the printer is sold. Do not convert operating voltages. This will damage the printer and void the product warranty. 2 Wireless performance is dependent upon physical environment and distance from the access point. Wireless operations are compatible with 2.4 GHz routers only; excludes wireless direct. Wireless direct may require driver or apps be installed and connected on wireless-enabled mobile device or PC. Wireless functionality may vary by computer and mobile operating systems, see hpconnected.com. Print times and connection speeds may vary. 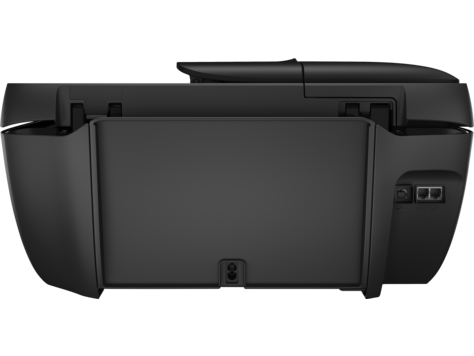 AirPrint™ supports OS X® Lion, OS X® Mountain Lion and the following devices running iOS 4.2 or later: iPad®, iPhone® (3GS or later), iPod touch® (3rd generation or later) and requires the printer be connected to the same network as your OS X or iOS device. AirPrint, the AirPrint Logo, iPad, iPhone, and iPod touch are trademarks of Apple® Inc. Windows® is a trademark of the Microsoft group of companies. BlackBerry® names and logos are the property of Research In Motion Limited. Android is a trademark of Google Inc.
4 HP SureSupply assists you when you want to replace a print cartridge and helps you shop and purchase locally or via the Internet. For more information, visit hp.com/learn/suresupply. Only available for genuine HP supplies. Internet access required. 5 Based on standard ITU-T test image #1 at standard resolution. More complicated pages or higher resolution will take longer and use more memory. 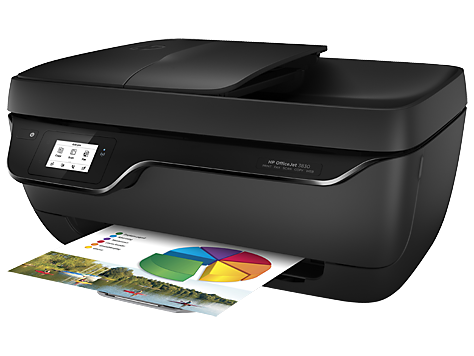 6 Savings claim is based on HP Instant Ink Service plan price for 12 months using all pages in plan without purchase of additional pages compared to the cost per page (“CPP”) of the majority of color inkjet printers <$399 USD, market share reported by IDC Q2 2014. CPP comparisons for standard-capacity inkjet supplies are based on estimated street price and page yield as reported by Gap Intelligence MFP Weekly and IJP Weekly Reports 9/20/2014. Actual savings may vary depending on number of pages actually printed per month and content of pages printed.